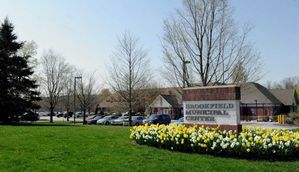 Brookfield Special Town Meeting on June 6th at 7:00 p.m. at the BHS Auditorium for Storm Expenses and Capital Referendum. to discuss and consider a resolution authorizing an appropriation of up to $1,777,000 from the General Fund to pay for expenses necessitated by the severe storm on May 15.
to discuss and consider a resolution authorizing an appropriation of $2,578,050 to fund the costs of the Town's Capital expenses at Town facilities for the fiscal year 2018-2019.
to discuss and vote on a resolution setting Tuesday, July 24 from 6 am to 8 pm as the date for the Referendum vote. Learn more by reading the legal notice here.